We're excited to announce our new referral program! Balanced Plumbing would like to thank all of our loyal customers for their continued support by rolling out a new program to benefit you. 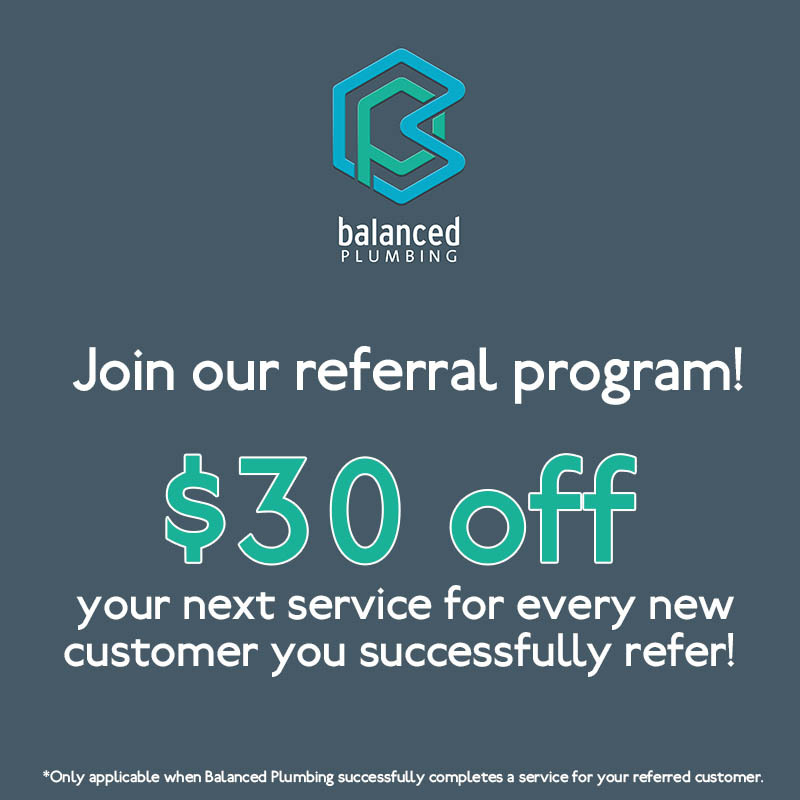 Tell your friends and family about Balanced Plumbing, and we will give you $30 off your next service per referred customer. That's right, you can accumulate $30 off per referral, so the more you refer, the more you save!